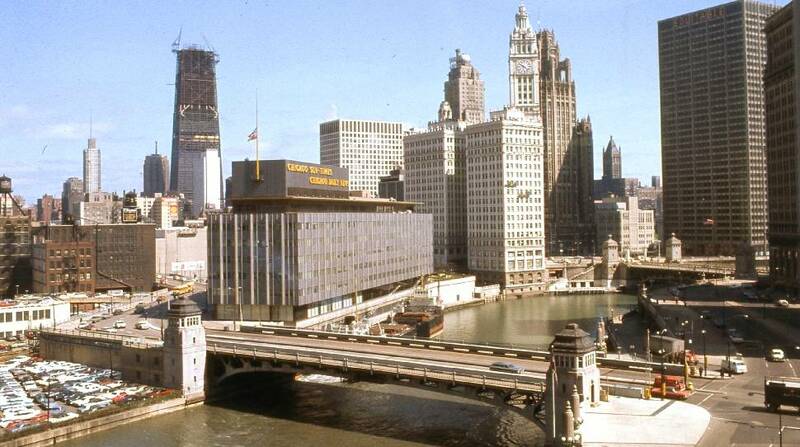 January 31, 1958 – The Chicago Sun-Times holds a formal dedication for its new $15 million plant on the Chicago River between Wabash Avenue and Rush Street as Marshall Field, Jr. dedicates the nine-story building to the memory of his late father. Ground was broken for the new building, designed by Naess and Murphy, in November of 1955. Marshall Field, II founded the Sun-Times in 1941 as the Chicago Sun and the paper merged with the Chicago Times on February 2, 1948. For more information on the building that sat where today’s Trump Tower sits, you can turn to this blog in Connecting the Windy City. January 31, 1913 – The Board of Trustees of the Art Institute commission Lorado Taft to begin work on the sculpture that will be known as “The Fountain of Time.” The plan is for the sculpture to be erected on the Midway in Hyde Park, with a fountain and “three bridges with groups – ‘The Arts,’ “The Sciences,’ and “Religion’ connected with single figures.” The report proclaims, “If carried out the Midway with a small lagoon, fountains, bridges and statuary, will be one of the beauty spots of the world.” [Chicago Daily Tribune, February 1, 1911] The sculpture will be created from “creamy Georgia marble” and will take five years to complete. It will be paid for using $30,000 from the Ferguson endowment, held in escrow at the Art Institute. The sculptor explains the plan in this way, “The scheme for the decoration of the Midway embraces the embellishment of the park space one mile in length, connecting Washington and Jackson parks at Sixtieth street, with fountains, bridges, and connecting rows of figures. There would be a stream of water along this park space, and the principal bridges would be at Ellis, Woodlawn, and Madison avenues. The Fountain of Time would be at the western terminus. Whether it will or not rests entirely with the park board. The Bridge of Arts at Woodlawn avenue, which practically bisects the Midway, would form the center of the whole scheme of beautification, and would be more elaborate than either of the other two bridges, Religion at Ellis avenue or Science at Madison avenue.” Although the final sculpture is a spectacular addition to the western terminus of the Midway, the grand scheme proposed on this date was considerably scaled back from the grand vision that was introduced to the city on this day in 1913. 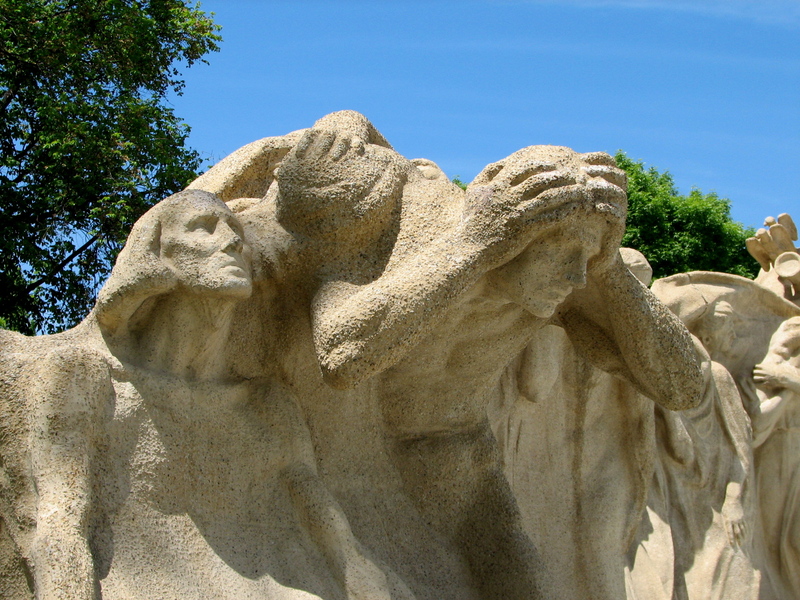 Even the “creamy Georgia marble” went, and the 200 figures of the sculpture are made of hollow-cast concrete reinforced with steel. 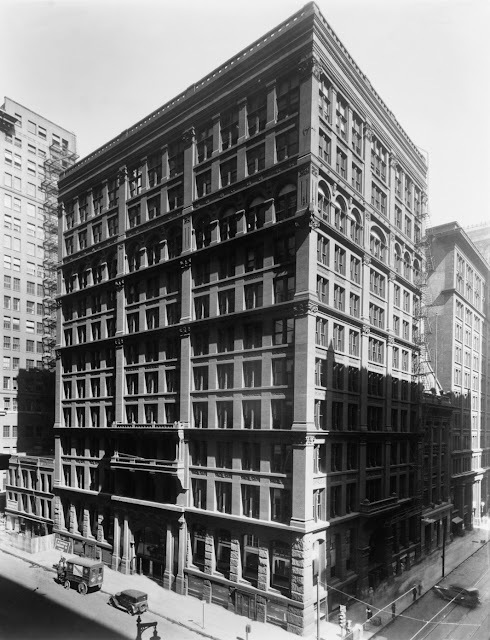 January 31, 1911 -- The Home Insurance Company building at the corner of La Salle and Adams Streets is sold for $2,150,000. James and Charles Deering purchase the property. Their father, William, had founded the Deering Harvester Company, and the family hit the jackpot when financier J. P. Morgan purchased the firm and merged it with the McCormick Reaper Company and several other farm implement manufacturers to create what we know today as International Harvester. The Home Insurance Building, designed by William LeBaron Jenney and completed in 1884, is considered by many to be the world's first metal-framed skyscraper. It was the tallest building in the world for seven years. It's gone now. It was demolished in 1931 to make way for the magnificent Art Deco skyscraper at 135 South La Salle.